So, from time to time, we folks at Combatsim get the opportunity to test out and review some really neat gear. When CSIM gets that call from the companies wanting us to put their gear to the test, they turn to us long-term, die-hard CSIM forum contributors (20 years hard time in my case) to give the gear a spin and jot down the essentials so we can let the rest of the world know our valued opinions. 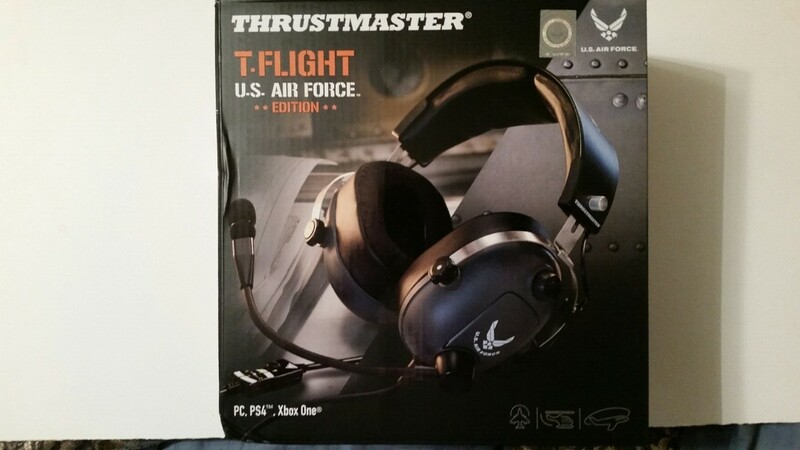 I got the nod from our fearless site lead a couple of weeks ago when Thrustmaster asked if CSIM would be willing to try out their newest offering, the T.Flight U.S. Air Force Edition Gaming Headset.